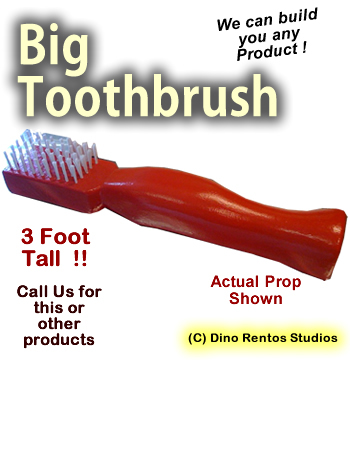 Big Toothbrush Foam Display Prop - Dino Rentos Studios, INC.
At 3 feet in length, this giant toothbrush is great for dental offices. Chooose the color of your brush. Bristles are white. Option Upgrades: Plastic Coated (recommended for long-term use, adds durability).